An opaque water colour, suitable for both design and fine art applications. 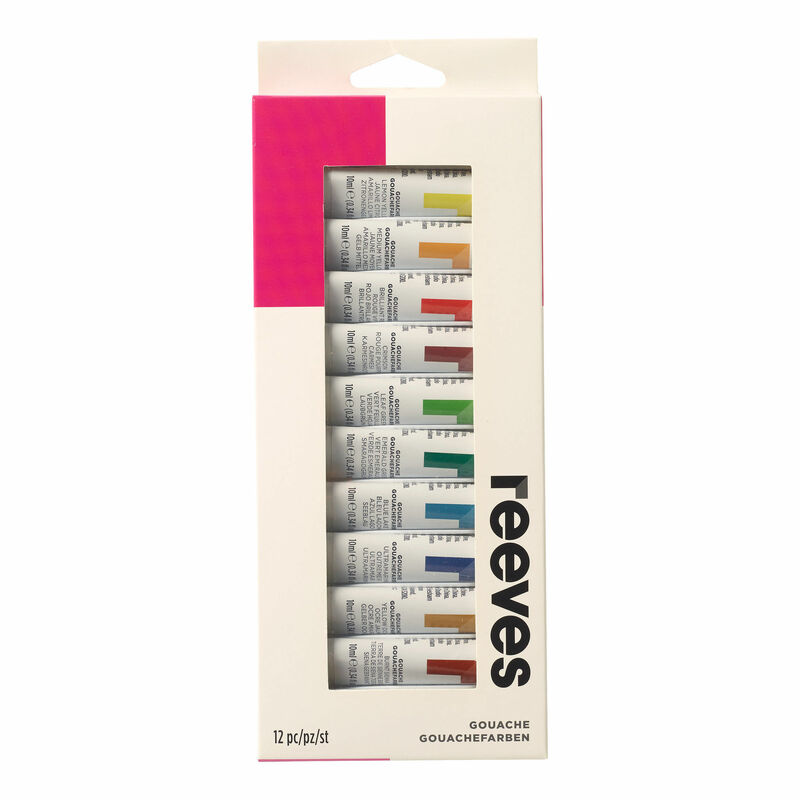 Reeves Gouache is an opaque water colour that has been used traditionally by designers and graphic artists to create posters and other advertising materials. Designers' Gouache offers brilliant opaque water colours for designers, visualisers, illustrators and fine artists. Gouache is more controllable and enables you to remove mistakes and re-paint.